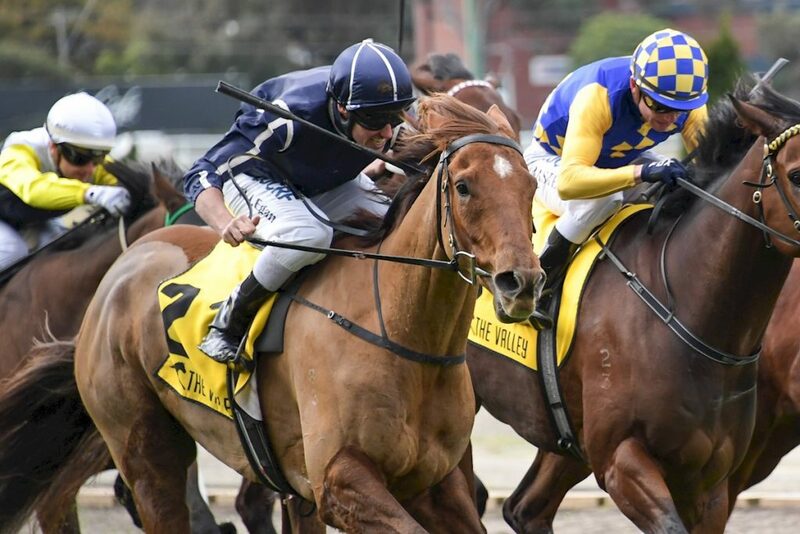 Quite possibly the best advertisement for the 2018 Inglis Great Southern Sale – which started on Sunday at Oaklands Junction – was the gritty victory by Widgee Turf in Saturday’s Catanach’s Jewellers Plate at Moonee Valley. The Patrick Payne trained, Little Plains Stud bred 4YO took his record to nine wins and five placings from only 19 starts and, while the flashy chestnut has been a model of consistency throughout, his tally over the last seven months has been sensational. Having his first run for the season last December, Widgee Turf won at Sandown, Moonee Valley, Caulfield, Moonee Valley again, ran third at Wangaratta, won the Group 3 Victoria Handicap at Caulfield, finished second in the VOBIS Gold Mile at Caulfield, was seventh at Randwick in May and, now, notches up win #3 at the Valley. Even more impressively, Widgee Turf has been carrying big weights for most of his career and lugged 59 kilos around Moonee Valley on Saturday – giving five kilos to each of the place-getters. Ironically, Payne was hoping to run Widgee Turf in last week’s Group 1 Stradbroke Handicap at Doomben, but the sprinter was only weighted on 51 kilos for the $1.5 million race and thus was balloted out. Widgee Turf’s owners, Gordon and Marlene McIntosh, are hardly complaining though. The latest victory took their gallant galloper’s prizemoney tally to $721,850 which, in anyone’s language is a pretty good return on a weanling purchase price of a mere $4,500. That’s right … $4,500! In 2014, on something of a whim, the McIntoshs decided to venture south from Widgee in Queensland – yes, it’s how the horse got his name – to attend the Great Southern Sale. The McIntoshs have farmed the Widgee district (some 30 minutes west of Gympie) for five generations and are hardly what you would call ‘big owners’. “Marlene and I are semi-retired and had a few picnic horses we raced early on,” McIntosh explains. 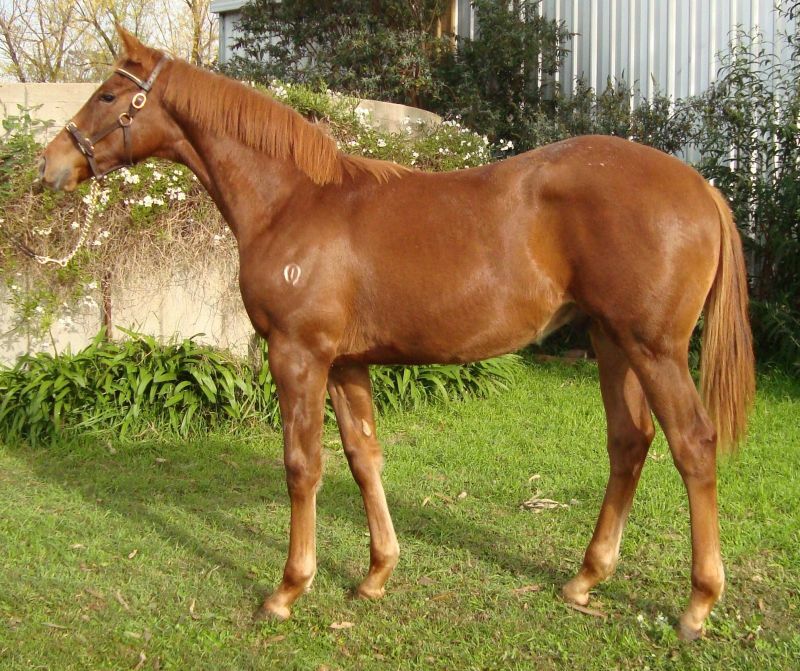 While wandering around the Oaklands Junction complex four years ago, a weanling colt by Turffontein, on offer from Barb Ivill’s Little Plains Stud, caught McIntosh’s eye. “He was really bright and alert and I liked the Turffonteins,” McIntosh reveals. “What really got my attention though was the way he walked … really stepping out. The McIntoshs placed the horse with Patrick Payne and one day the trainer called to suggest they venture to Swan Hill in Victoria for Widgee Turf’s first run. He duly won and beat subsequent Group 2 winner, Tiamo Grace, in the process. “Took us a few days to drive home, but it’s always amazing how much shorter the trip is after you’ve won,” McIntosh adds. “We’ve been down to watch him run quite a few times since and it doesn’t get much better than this. “He’s been the most successful horse – wins-wise – in Melbourne this season and always gives his best. This is our only horse and it’s just the two of us in him, but the wonderful thing about this industry is that it brings together people from all walks of life. “You would think that a breeder who had to let one go for just $4,500 would be dirty, but the first one of the phone to congratulate us on Saturday was Barb Ivill. A daughter of Kala Dancer and the first to produce a stakes winner in four generations, Greyhound hasn’t been covered since Widgee Turf was foaled in 2013. Turffontein, meanwhile, stands at Victoria’s Blue Gum Farm at a fee of $8,000 and has produced 84 winners (four stakes winners) of 233 races … a figure that’s likely to grow if Payne has his way. “Widgee Turf is next likely to run on 7 July at Flemington in the Listed Sprint Final, but Patrick said very early on that Widgee Turf will get even better as a 5YO,” McIntosh points out. That $4,500 is looking better by the minute.